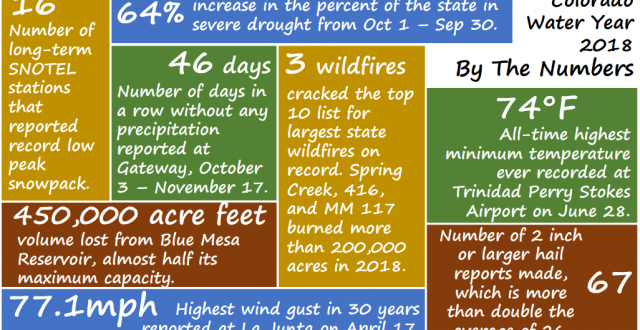 The 2018 recap of Colorado’s water was created by the Colorado State University’s Colorado Climate Center. This year marked the warmest and second driest in 124 years!! Find out all the information here.